Please select a size. view smaller sizesUK 11 - Low Stock Please select a size. 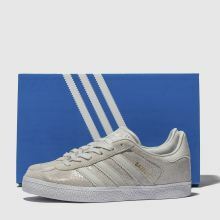 The latest kids' Gazelle arrives from adidas with a classy feel, ready to dress up their everyday. 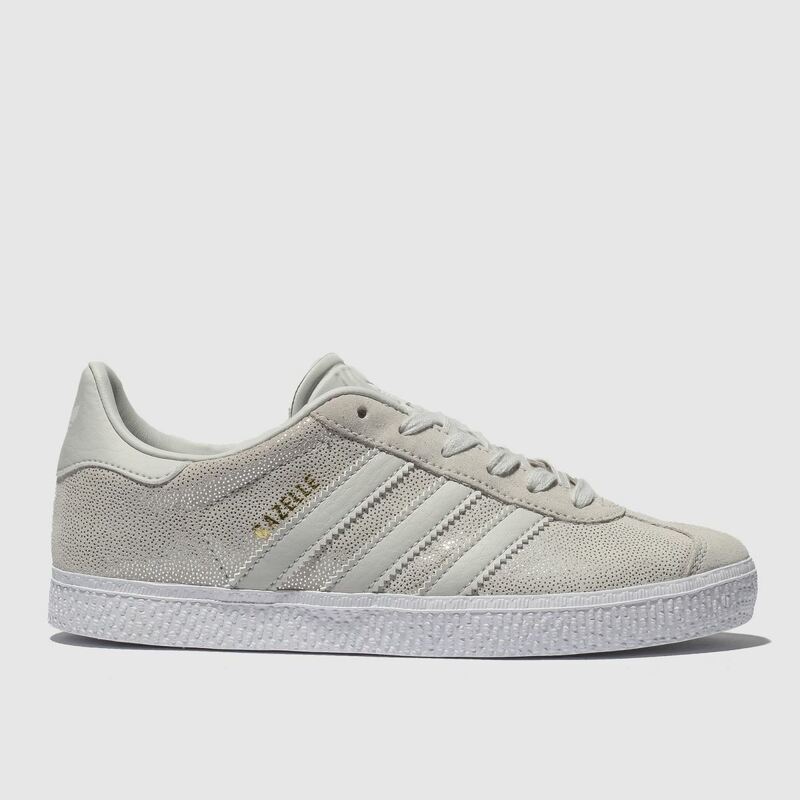 The natural suede upper boasts champagne coloured sparkles along with classic 3-Stripe branding. 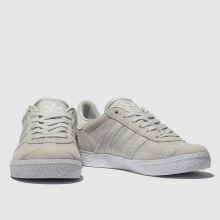 A rubber outsole finishes things off nicely.